Many know Goichi Suda or Suda51 for his work on titles such as Killer7 or No More Heroes but his popularity in Japan originally started with his company’s first title, The Silver Case. The game, which was originally released in Japan for the PlayStation in 1999, never made it to international audiences until it was remastered and released for the PC last year. A PS4 release was then announced in October of last year which would feature a new remixed soundtrack (including two brand new tracks) and two new story scenarios set after the original story. The events of The Silver Case take place around the late ‘90s, in a time when the digital world was beginning to overtake analog and the world was in the middle of society’s digital revolution, in a fictional futuristic Japanese city called the 24 Wards. The original portion of the game is divided into two scenarios called “Transmitter” and “Placebo.” Players start off in the first scenario but eventually unlock the second. From there, players can choose to progress in either of the scenarios alternately or finish one before the other. In Transmitter, the player takes on the role of a nameless agent of the High-Degree Murder Division who, along with a team of other agents, begin to investigate a string of murders they believe to be committed by an infamous serial killer named Kamui Uehara. The second scenario, which happens concurrently with the first, stars Tokio Morishima, a freelance reporter who’s hired to investigate and write a report on the Kamui Uehara case. Inevitably, the stories of both scenarios intertwine at certain intervals, giving players different viewpoints of the overall story. The two original scenarios are vastly different, to say the least, not just in writing and storytelling style but in gameplay and mood as well. This is due to the two scenarios being written by different individuals. Transmitter was written by Suda while Placebo was written by Masahi Ooka and Sako Kato. Transmitter’s nameless protagonist felt more like a tag-along rather than the scenario’s main character, mostly just observing the game’s cast of characters tell the game’s story. There are no dialogue choices during the protagonist’s conversations with people and you’re never really shown what the character actually says. Due to this, there isn’t any real insight into the character or his personality which also significantly limited any form of character development. In spite of this, Transmitter is the scenario with the most gameplay as the protagonist is regularly tasked to explore areas and solve puzzles. On the other hand, Placebo puts significantly more detail into its protagonist. Not only is it riddled with internal monologue but Tokio Morishima also keeps a journal where he details most, if not all of his experiences and thoughts throughout the story. This also means that Placebo features minimal gameplay. Much of the scenario is spent going through dialogue as well as reading and sending e-mails on Morishima’s computer, along with the other activities he does on it such as writing on his aforementioned journal or chatting with people on the internet. 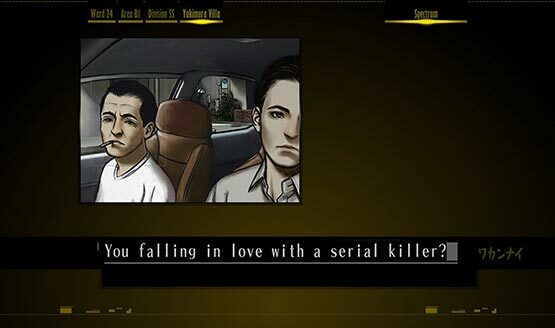 As previously mentioned, the PS4 release of The Silver Case also features two additional scenarios called “Yami” and “Whiteout Prologue.” Ooka returned to work on both scenarios with Suda also contributing to the latter. Yami is set several months after the events of the first two scenarios while Whiteout Prologue is set much further into the future, connecting The Silver Case to its episode sequel Ward 25. The additional scenarios, while not really adding anything in the gameplay department, gave the title a much better finish than the original release as well as some much-needed closure. 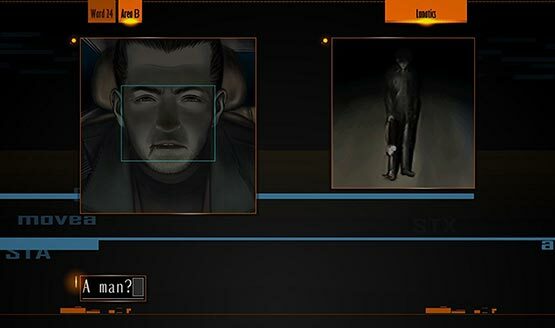 The presentation of The Silver Case is pretty unique, much like Suda’s other works. But The Silver Case is also unique among his own works as it presents a darker, more serious, and more experimental tone than his latter and more known projects, which have become less serious and more comedic. While the game’s scenarios are incredibly different, the style of which the visuals are presented stay mostly consistent and make for a complex and fairly unique experience, combining several visual elements such as CG, 2D animation, live action, and still illustrations to tell the game’s story. Sadly, the variety and quality of the game’s visuals doesn’t make it to the game’s levels and areas which, at many points in the game, are reused or recycled. Additionally, the gameplay area of the second scenario takes place almost entirely in a single space. Many of the levels and areas themselves are minimalist, to say the least, with barely any assets other than the walls, doors, control panels, and furniture. There aren’t any details to make important rooms stand out, such as blood on the walls or floors, and characters aren’t shown in the game’s rooms, even though they’re there. Exploring the game’s levels and areas, which is mostly done in the first-person, is composed of moving from one specific point to the other, marked by floating triangles. The triangles then turn into stars whenever specific markers have points of interest, such as dialogue or cutscenes as well as objects that the player can interact with such as control panels or puzzles. This is when the game’s controls and movement prove to be cumbersome due to its slow responsiveness and inefficient control and menu system. The Silver Chair review code provided by publisher. Reviewed on PS4. For more information on scoring, please read our Review Policy.